It was the same every Christmas. My father would spend a whole Saturday baking. Some treats might change from year to year, but there were always a few specialties that just had to be made. Buckeyes were requested by everyone, his fudge was melt-in-your-mouth delicious, and then there were always seven layer bars. 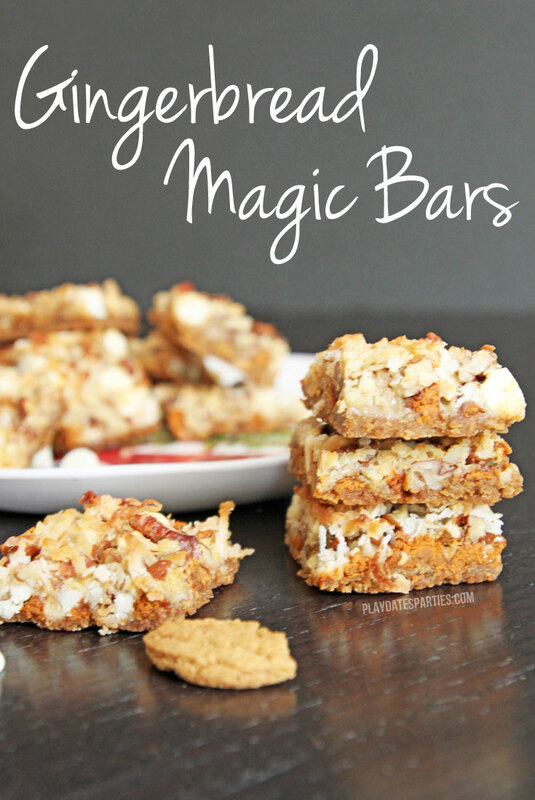 Or to many people: magic bars. No matter what, I always make sure to include seven layer bars in my holiday baking. Christmas just wouldn’t seem right without them. 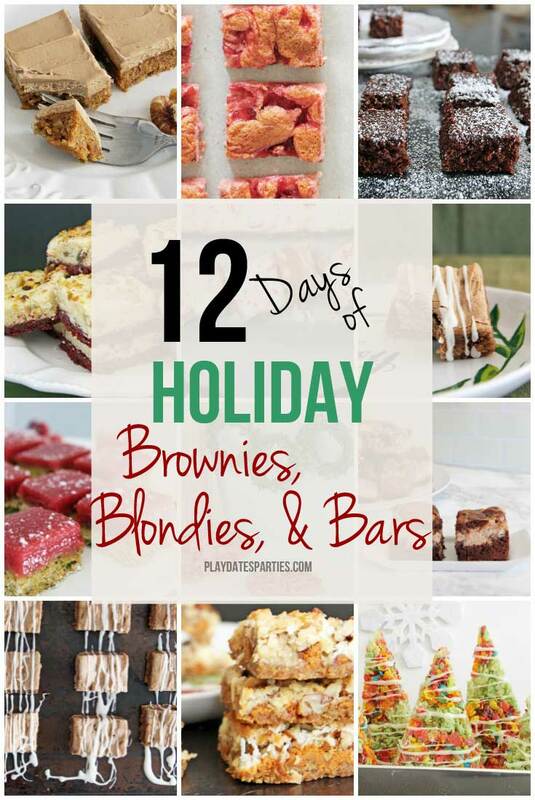 That’s why I knew they had to be a part of this year’s brownies, blondies, and bars series. But, of course, most people already know the ingredients to the traditional seven layer bars. So, I had to put a fun little holiday spin on them. Ginger cookies and gingersnaps are also a favorite of mine during the holidays. And so the idea of Gingerbread Magic Bars was born. But it wasn’t as simple as swapping out gingersnap crumbs for the graham cracker crumbs. Butterscotch and many chocolates overpower the gingersnap flavor, which means different fillings are necessary. And even then I found that the flavor was fairly mild. Adding a bit of molasses and powdered ginger to the sweetened condensed milk did just the right trick. By the way, apparently my father and I have been making our seven layer bars incorrectly all these years. When researching this post, I found that in the original Eagle brand recipe, the crumb layer is assembled and then the sweetened condensed milk is poured on before the chocolate, nuts, and coconut. We always drizzled the sweetened condensed milk last. So don’t be surprised when you see that as the last step. Just trust me on that one, okay? These gingerbread magic bars may not be my father’s seven layer bars, but I think they may have a place in our annual cookie rotation for years to come. While the oven is preheating, melt butter in a 9 x 13 jellyroll pan (baking sheet with a lip). Meanwhile, whisk together sweetened condensed milk, ginger and molasses. When butter is melted, remove pan from oven. Spread butter around the pan by gently tipping the pan back and forth in all directions. Sprinkle gingersnap crumbs over top of butter and press into pan to create a crust layer. Sprinkle white chocolate chips and cinnamon chips on top of the gingersnap layer. Add pecans and then shredded coconut. Bake at 350°F for 20 – 25 minutes, or until edges are golden brown. Allow to cool completely before cutting. 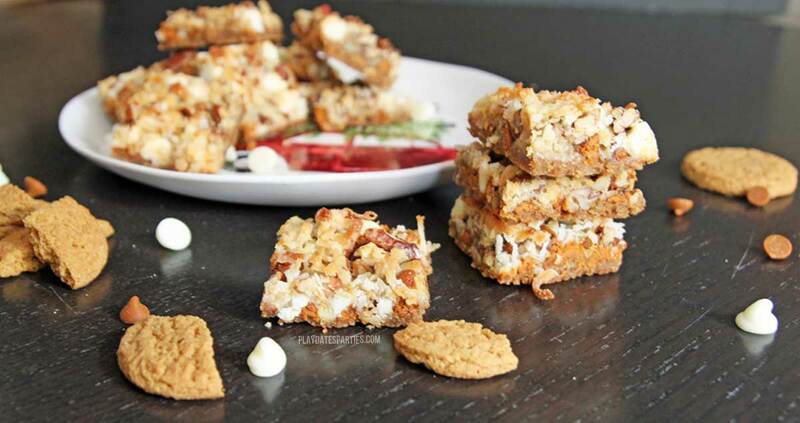 Do you make seven layer bars for the holidays? What’s your favorite gingerbread treat? 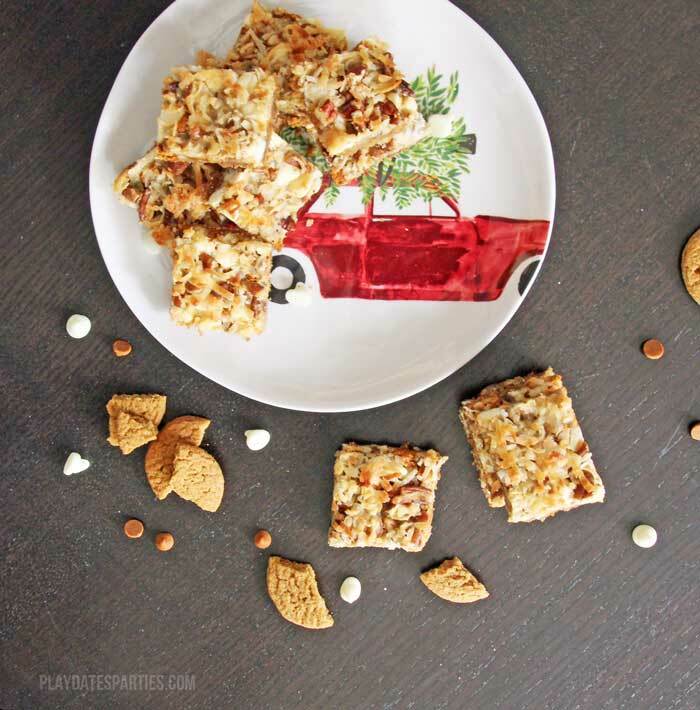 What a fun twist on Magic Bars; which we LOVE. We also must make buckeyes each holiday season. Pinned and I can’t wait to try these. What a fun recipe. I can’t wait to try it. Thanks for the link party. Anything with condensed milk is sure to make my husband happy! Thanks for sharing this – Pinning!